If you have been charged with theft offenses, also known as larceny, chances are you have been charged under section 155 of the New York Penal Code. This is because in New York, larceny charges can be applied to nearly any type of stolen property including personal property, real property, money, computer data or a computer program, water, electricity, gas, or any object or substance of value. Thus, section 155 covers most of the theft-related crimes including petit larceny, grand larceny, and aggravated grand larceny. 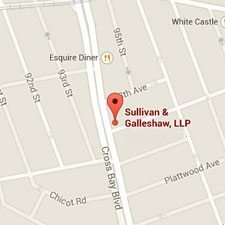 If you have been charged with grand larceny in New York, you are facing serious felony charges. Do not wait-and-see how it will work out because your freedom is at stake. Working with an experienced criminal defense lawyer who will fight to protect your rights and freedoms can improve the likelihood that your matter will be resolved favorably. 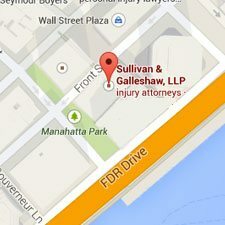 What is considered grand larceny in New York? At its most basic level, larceny occurs when a person has the intent to deprive another person of property belonging to them and actually steals, takes, or otherwise obtains and withholds the property. Aside from the traditional means of theft, larceny charges can also be advanced when a person knowingly acquires lost, mislaid, or mistakenly delivered property without engaging in reasonable steps to return the property to the rightful owner. Furthermore, larceny charges can also arise due to extortion, offering a false promise or issuing a bad check, as defined in the New York Penal Code, and through a number of other behaviors as defined in § 155.05 of the Code. While other grounds for the offense exist, the foregoing covers many of the more common reasons for fourth degree charges. Grand larceny in the fourth degree is charged as a class E felony in New York. The third degree of the crime can be charged when the stolen property’s value exceeds $3,000 or when the stolen property is an ATM or the money contained within an ATM. The third degree crime can be charged when the value of the property is greater than $50,000 or obtained by extortion that caused the victim to fear physical injury, property damage, abuse of an official position. The highest level, the first degree offense, occurs when the value of the stolen property exceeds $1 million. At the highest level of this charge it is considered a class B felony. Upon conviction, a first time offender guilty of a non-violent class B felony can be punished with a minimum prison sentence of 1 to 3 years and a maximum sentence of 8.33 years to 25 years. If violence was involved in the theft or if the defendant has prior felony convictions the sentence will be harsher. Are there defenses to larceny charges? The defendant believed the threatened charges to be true and accurate. The statement was made solely to make the other person to take action or otherwise right the perceived wrong. Working with an experienced criminal attorney can increase the likelihood that the criminal consequences you face will be mitigated or eliminated. 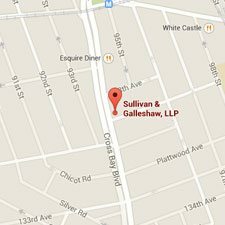 To speak to a Sullivan & Galleshaw grand larceny defense attorney, call (800) 730-0135 or contact us online today.